Gazebos have many benefits. Even though you might have never really thought about buying one for your yard, it could be something for you to consider. In fact, you might not even realize how many benefits you can enjoy by buying a gazebo. These are a few reasons why this might be the perfect purchase to make to improve your yard. First of all, if you are a renter or if you are planning on selling your home in the future, you might be hesitant to make a big investment. The good thing about most gazebos, however, is that they can actually be moved by a professional. This means that if you are looking for a semi-temporary option that you can take with you, a gazebo might actually work better for you than a deck or patio. Of course, if you rent, you will probably want to get permission from your landlord before buying a gazebo. If he or she approves it, you can enjoy it at your rental property for now and can then have it professionally moved if you move to another rental or buy a house in the future. Another good thing about a gazebo is the fact that you can use it for many different purposes. You can choose to just use it as-is and use it as a place to visit with your family or read while enjoying some fresh air. You could also use it for something like a fire pit or an outdoor kitchen. Some people even use gazebos to host events like weddings. The possible uses for a nice wooden gazebo are practically endless, depending on what you and your family are interested in and what you might want to use yours for. 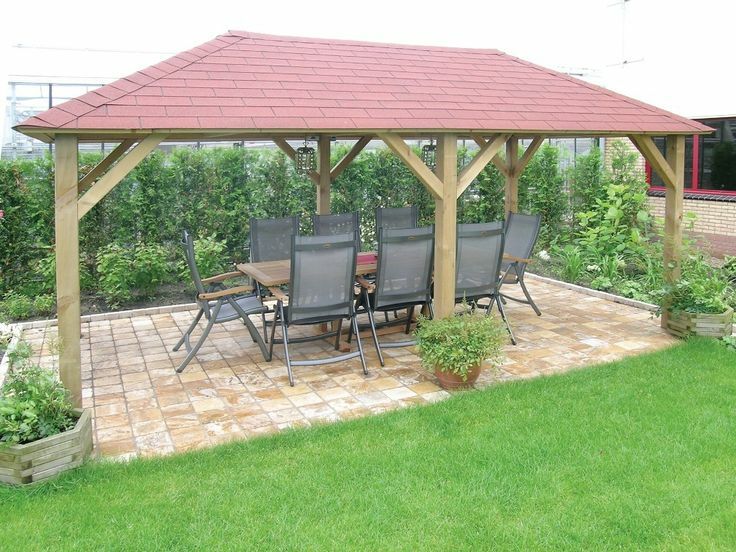 Many wooden gazebos are very attractive. Depending on the style that you use, you might find that it will make a very nice and attractive addition to your yard. It’s a great way to use up some empty, boring-looking space. You can even do extra things to make it look more attractive, such as by planting pretty flowers or shrubs around it. Some people even choose climbing plants that “climb” up the gazebo for a really pretty look. As you can see, if you have never thought about purchasing a gazebo, it might be something that you will want to look into. Luckily, you can find them in various sizes and styles, so you should be able to find one that will look great in your yard. In fact, some companies even customize them for each customer, so that could be an option that you can look into as well. Once you look into some of the gazebos that are available and think about some of the possible uses for a gazebo, you could find yourself wondering why you waited so long to purchase one in the first place.